Legal Document Preparation, made affordable. BVS will assist you in uncontested matters by completing and filing documents with the court. You make the decisions, we do the work. We are an affordable alternative to hiring an attorney for routine paperwork. In most cases no court appearance is necessary. A Legal Document Assistant (LDA) is an experienced professional who is qualified and authorized to prepare legal documents for consumers representing themselves in legal matters by preparing and processing the necessary legal documents. LDA’s cannot provide legal advice or strategies. A Legal Document Assistant is NOT a Lawyer. By law, they cannot give you legal advice or represent you in the courts in any matter. If you need to consult with an attorney, BVS Legal Document Assistance will be able to provide you with a referral. BVS Legal Document Assistance is a Registered & Bonded LDA (Solano County Reg No. 15-0001 exp. 1/30/2019). BVS Docs a CA Secretary of State Commissioned Notary service. 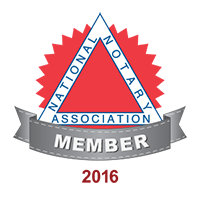 Margaret Buckley, (dba BVS Legal Document Assistance“) is Certified by the National Notary Association (NNA) and has been Background certified.